This is the seventh in a series of articles highlighting the experiences of Private John Denholm of the 16th Battalion (Canadian Scottish) during the First World War. Articles will be published on the 100th anniversary of each event and will feature photos and ephemera from an amazing scrapbook that he compiled shortly after the war. 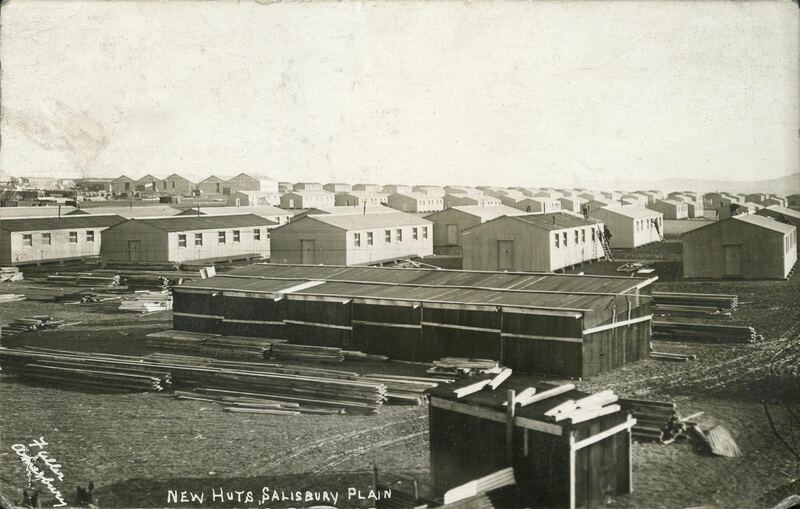 On October 18th the 16th Battalion (Canadian Scottish) arrived at West Down South Camp on Salisbury Plain. Within a week heavy rain turned the soft ground into a quagmire, a condition that only grew worse throughout stormy November. 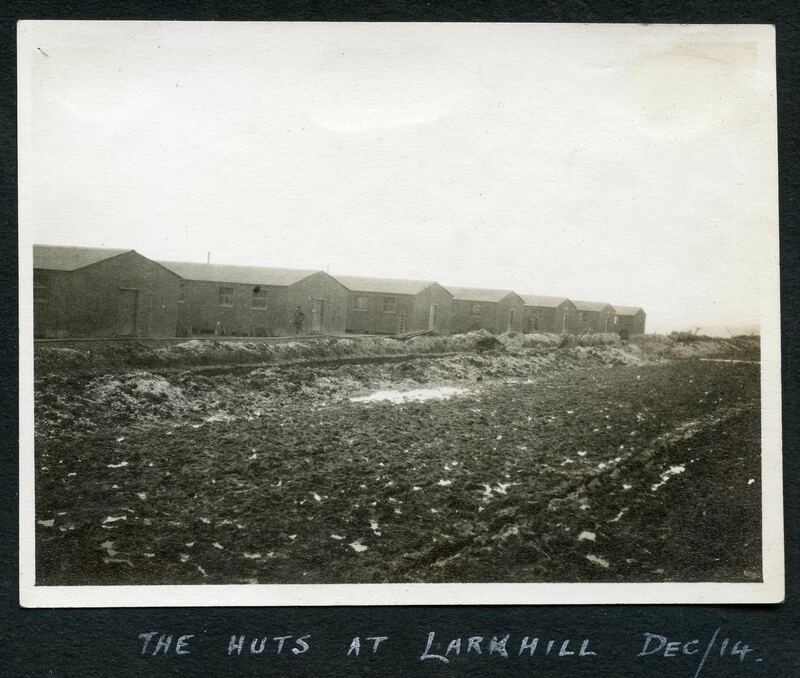 On December 8th the battalion moved into wooden huts that were under construction by Canadian Engineers and English workmen at Lark Hill. Pte. John Denholm captioned his photograph “Chums in the Hut” and the men he poses with look to be in reasonably good spirits. On the back he scribbled the surnames of all nine soldiers. 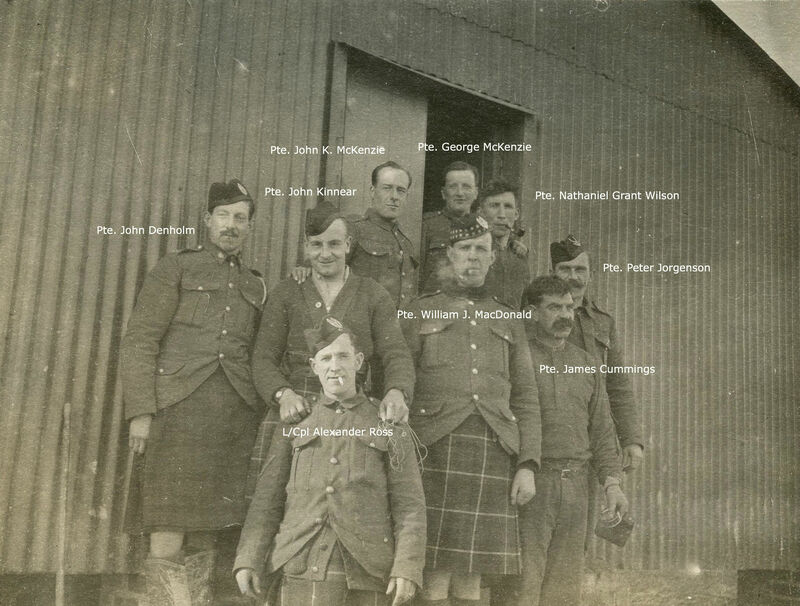 Denholm was from Winnipeg’s 79th Cameron Highlanders, one of four regiments to make up the 16th Battalion, however the majority of men pictured here are from Vancouver’s 72nd Seaforth Highlanders. Sadly four of these men would not survive the war, including three who would be dead before the end of April. Several of the soldiers could be uniquely identified but not surprisingly there were more than a few McKenzie’s, MacDonald’s, Ross’s and Wilsons in the 16th Battalion in December 1914. I feel reasonably confident that I’ve identified these men correctly however I am, as always, interested in hearing your opinion. I’m especially looking forward to hearing from the relatives of these soldiers. Born Jan. 6 1892 in Dundee Scotland John Kinnear emigrated to Vancouver in June 1913. He joined the 72nd Seaforth Highlanders before the war but had also served in the Territorial Force (The Black Watch) in Scotland. Private Kinnear died on April 23 1915 at the Second Battle of Ypres. He has no known grave and is commemorated on the Menin Gate in Ypres. John Kenneth McKenzie was born in Portage La Prairie Manitoba on June 29, 1882. He survived the war. George McKenzie was born in Dundee Scotland on Nov. 23 1888. He survived the war. 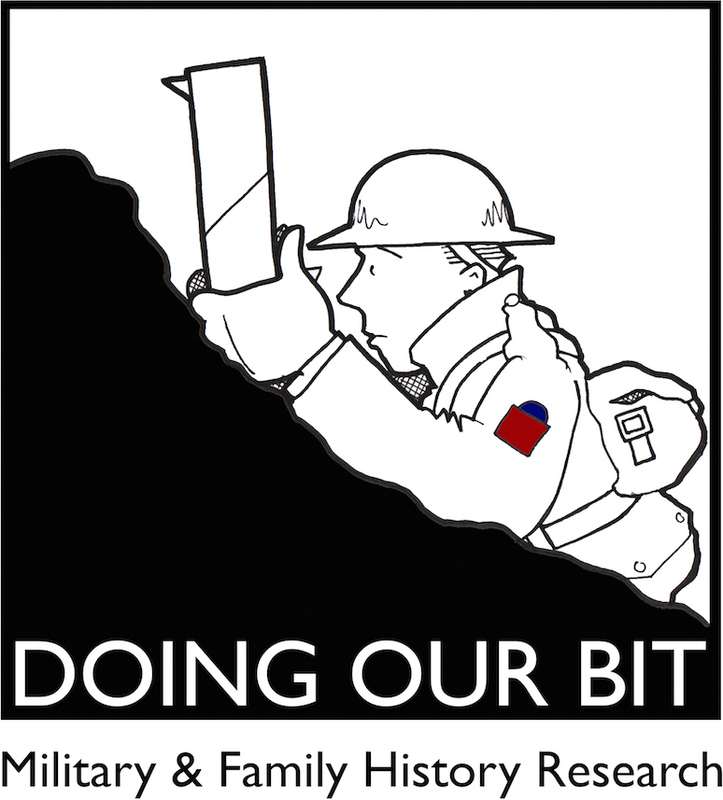 There were five Wilsons serving in the 16th Battalion when they departed Canada in October 1914. However only Nathaniel Grant Wilson was attached to the 72nd Seaforth Highlanders and a second photo (not shown) confirms that the Pte. Wilson pictured here was in the 72nd. He was born in Aberfeldy Scotland on Nov. 14 1879 and emigrated to Montreal in 1903. He married two years later in Toronto and while there spent five years in the militia with the 48th Highlanders. After the war he and his wife settled in Victoria, BC and it was here that he died in 1941. There were eight Mc/MacDonald’s in the 16th at the time however William John MacDonald was the only one attached to the 72nd. William John MacDonald was also very tall (6 ft. 1 1/2 in.) and a second photo (not shown) shows that the MacDonald pictured here was indeed a tall man. He was born on Sept. 30 1883 in Midmar Scotland and married a woman from Toronto. He survived the Western Front only to die of influenza on Dec. 22 1918. He is buried in Mountain View Cemetery in Vancouver. James Cummings was born on Feb. 5 1872 in Edinburgh Scotland and married a woman who was living in Montreal at the time of his enlistment. He had considerable military experience having spent 13 years with the Seaforth Highlanders in Scotland. On April 26 1915 Pte. Cummings died of wounds at RAMC No. 8 Casualty Clearing Station and is buried in the Bailleul Communal Cemetery. Peter Olaf Jorgensen was born in Copenhagen on Aug 7 1876 and spent 16 years in the 1st Battalion of the Danish Army before coming to Canada, likely via the United States. He survived the war and married Ellen Brown, an English woman, in Hackney in Feb. 1918. The family moved to Vancouver after the war and had at least three children, one of whom was born in England. Ellen died in Vancouver in 1951 and Peter in 1967. There were seven Ross’s in the 16th Battalion in 1914 but only one was a Lance-Corporal attached to the 72nd Seaforth Highlanders. Alex was born on Sept 14 1883 in Dundee Scotland and spent 12 years with The Black Watch. On April 22 1915 L/Sergeant Ross went missing and was presumed dead. He is commemorated on the Menin Gate.